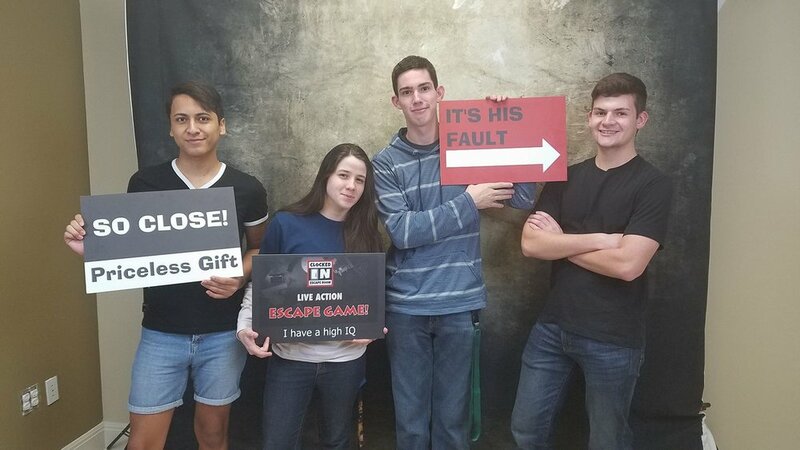 Welcome to Clocked In Escape Room located on the North side of San Antonio, TX. 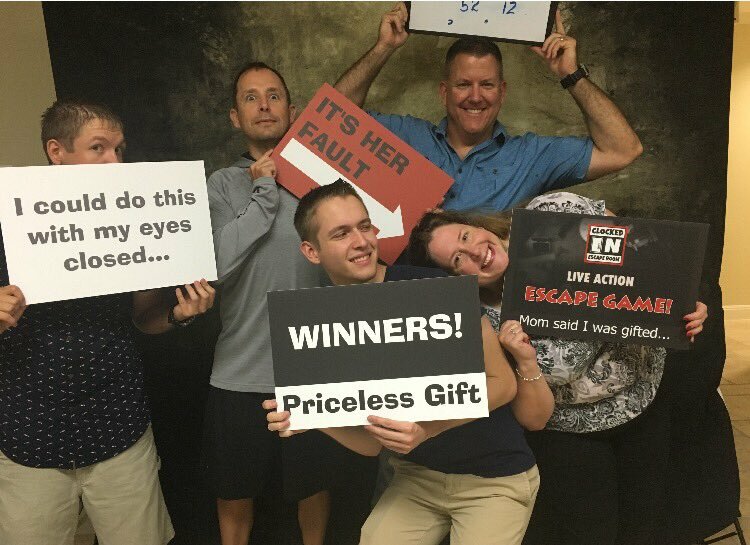 Come experience a thrilling adventure with your family, friends or colleagues where you will solve MYSTERIES, RIDDLES and PUZZLES in order to ESCAPE the room. 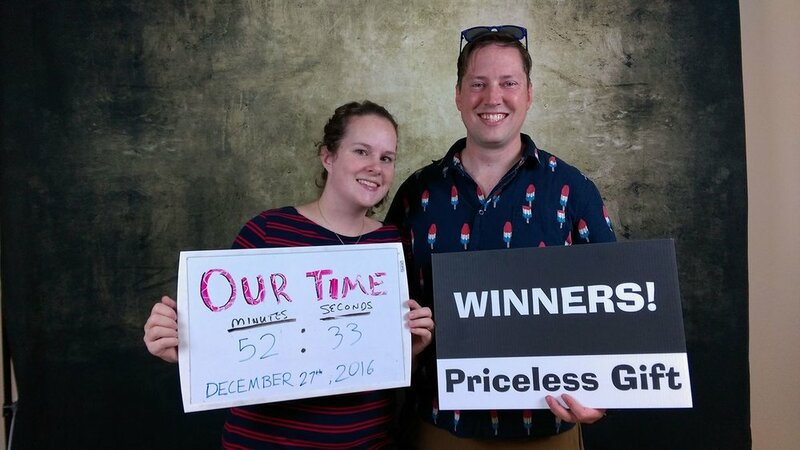 Clock In to one of our custom designed Escape Rooms and solve the room before time runs out! Schedule an adventure for your event, date, group outing or birthday party today! this to all of our friends and family. Rate and Review us Today! Level 1 is currently under maintenance! Sorry for any inconveniences this may cause. Our NEWEST adventure! Journey deep into the woods on your typical hike, WHEN SUDDENLY you find yourselves horribly LOST and in TROUBLE! Search the MYSTERIOUS camp site for what you need, but be QUICK! You only have a few minutes, BEFORE THE SUN SETS. Your beloved GRANDMOTHER PASSED AWAY and left you something SPECIAL in her will...a DIAMOND NECKLACE from the 18th century! The only problem is that it's somewhere in her home and she DOESN'T REMEMBER where she hid it. The executor of the will SOLD the home and the new owner will take ownership. You have ONE HOUR to FIND the necklace before the new owners get to take possession of the home and everything in it. You have been SCOUTED to be a candidate for the CIA. They think you have potential to be selected to work with them. 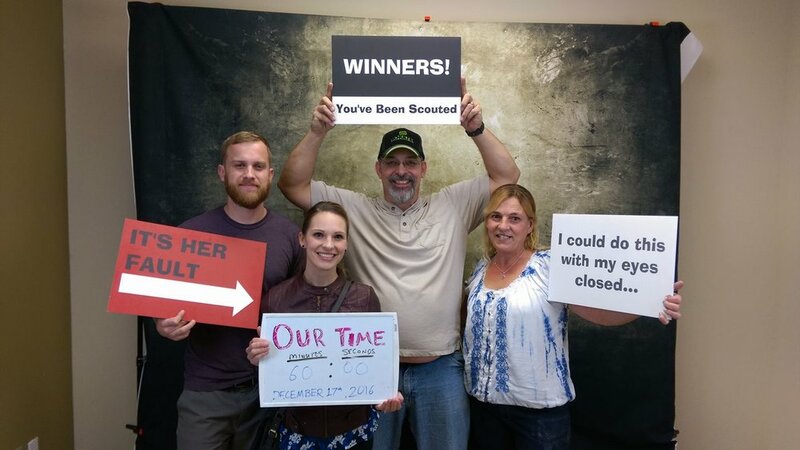 They have set up a room with PROBLEMS and CLUES to solve. You have 60 MINUTES to prove you have what it takes to be one of the elite. Thanks for Signing Up! You'll Receive a Confirmation E-Mail shortly. Please review this E-Mail and confirm your subscription. Also, be sure to add "reservations@clockedinescaperoom.com" to your contacts to ensure you receive future E-Mails. Thanks again!